Wine Orbit is a website featuring reviews of New Zealand wines and wines of the world. It is solely written by Sam Kim unless otherwise stated. Its aim is to provide the wine industry, trade and wine enthusiasts with reviews from a senior wine judge’s perspective. Wines reviewed in Wine Orbit are either submitted by the producer/distributor, or from trade events, including sponsored trips. Wine Orbit is an advertising-free website; instead, it charges submission fee (NZ$34) to each wine entered into formal tastings, as in wine shows and competitions. All wines are tasted blind by Sam Kim in his home office, and the notes are solely written by him unless otherwise stated. Each wine is rated out of 20-points then converted to 100-point and five-star scales – two of the most effective and easy to understand rating systems. Wines are tasted using Riedel Ouverture Magnum and Riedel Ouverture White Wine glasses. 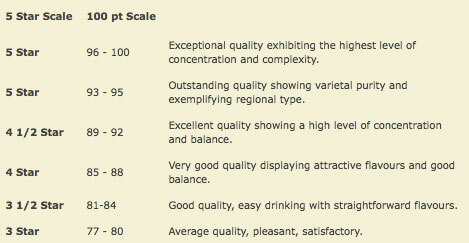 Wine Orbit is about highlighting wine excellence, therefore, wines scoring below 81 points (3.5 stars) are not published. Prices quoted are supplied by the entrant and are an indication only as they can vary considerably depending on the location, the type of promotion, etc. All prices are in $NZ. This indicates my conservative estimate of the period a wine will be drinking at its best. It is quite possible the wine will continue to improve beyond the suggested period, or hold at its peak for longer than estimated. Sam has been involved for the past 30 years in New Zealand hospitality, wine retail, importing and distribution, as well as running wine courses and master classes. Sam holds a Certificate in Winemaking from EIT (Hawke’s Bay), and has been judging wine for the last 20 years at various wine competitions and magazines, including the New Zealand International Wine Show, The Royal Easter Show Wine Awards, the Spiegelau International Wine Competition, The Air New Zealand Wine Awards, The New World Wine Awards, New Zealand Aromatic Wine Competition, Marlborough Wine Show, Decanter Asia Wine Awards, Cowra Wine Show and Cuisine Magazine. Sam does not have a financial interest, directly or indirectly, in a winery, importer, distributor or any company involved in wine marketing. Sam lives in Auckland, New Zealand, with a young family and is a keen runner.